Women's Original Faux Fur Cuff Boot Socks is rated 4.6 out of 5 by 21. Make a statement with your wellingtons this season with the Original Boot Sock. Crafted from a super fluffy faux fur, this sock is designed to be worn with the Original Tall Boot. Rated 5 out of 5 by sprinkles from Super cute! I love these! Fit great and are super warm. They are a tad puffy so if arent looking for a wow look these might be too much for you! Rated 5 out of 5 by Good Das from Gift for Daughter My daughter loves these socks and wants to purchase more. Rated 4 out of 5 by kiki from great but not amazing they are adorable as heck, like freaking adorable. BUT theyre really hard to wear with the new refined class tall boot. also its confusing how to put them on. sock first? sock in boot, then foot? regardless i love them but i struggle every day to take then on and off. Rated 5 out of 5 by JWalter from Chic and Warm I was a little hesitant to purchase these- but when they went on sale I just went ahead and did it. They fit well in my boots, more so than my basic Hunter boot socks- they were just comfortable. The fur at the top looked great with my olive boots, and kept my feet warm. Rated 3 out of 5 by Crystal from Warm and stylish. 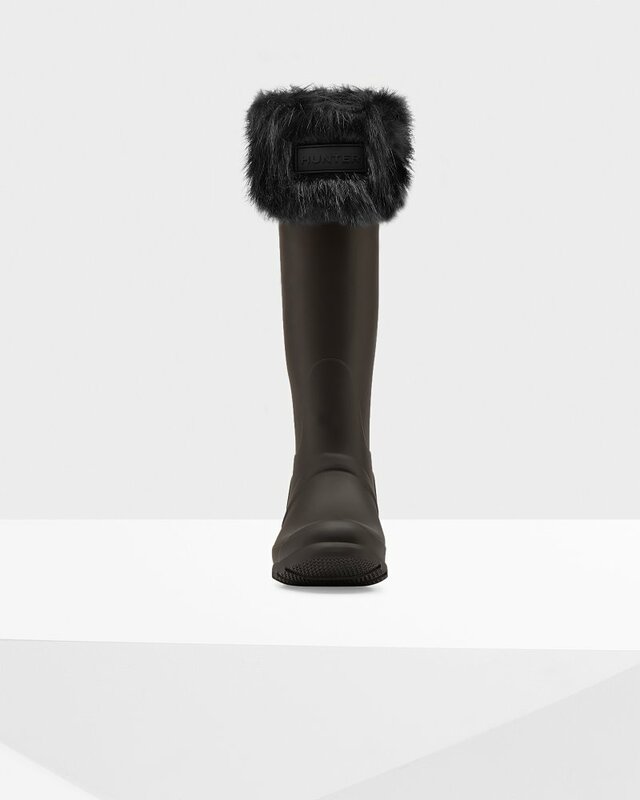 I like the boot socks however because the hunter boots are so narrow I'm not able to wear the socks with the boots. Getting the boot off and on is such a huge inconvenience that I'm not able to wear the boots with socks at all. Overall while I like the boot socks I'm unhappy with the boots themself. Rated 5 out of 5 by Lay5 from furry sockss The socks are very warm & stylish. They fit perfectly not too big or too small.